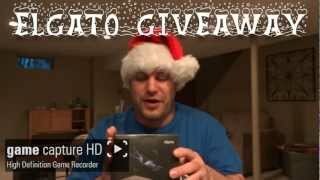 You are here: Home » Competitions » Wepeeler’s Elgato Game Capture HD GIVEAWAY! El Gato has been kind enough to send me another Game Capture HD to giveaway, so be sure to enter! Contest ends Wednesday November 21st, if the correct random number has been picked! See how to enter here. Post a video response (by clicking on the YouTube logo above in the video player) and telling me why you would like the El Gato Game Capture HD and BE SURE TO INCLUDE A NUMBER BETWEEN 0-1000! Contest ends Wednesday November 21st, if the correct random number has been picked! Good luck guys!